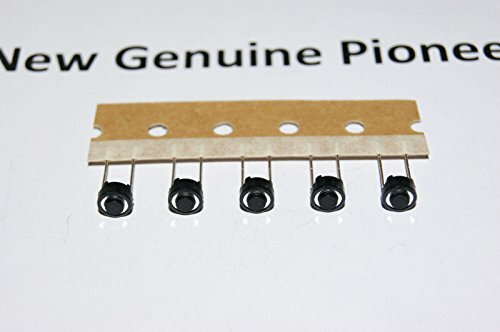 NEW GENUINE PIONEER ORIGINAL PART MADE BY PIONEER.... Factory sealed..... GENUINE!! NOT COPY/CLONE!!..... TRACKING NUMBER INCLUDED IN THE PRICE..... The shipment is by post office ........ SUPPLIED PART: 5x (Pieces) DSG1079 .... This Part is the ORIGINAL PIONEER Part which is provided in the main system..... Compatible with: DJM-800 DJM-850-K DJM-850-S DJM-850-W DJM-900NXS DJM-900NXS2 DJM-900NXS-M8 DJM-900NXS-W DJM-900SRT8 DJM-909 .... IF YOUR MODEL IS NOT IN LIST OR IN TITLE PLEASE SEND ME A MESSAGE TO FIND THE Switch or THE PART FOR YOUR MODEL ...! IF YOU HAVE ANY QUESTION PLEASE CONTACT US.... Delivery time sometimes soon, sometimes longer, maybe 2~6 weeks!..... Sincerely hope you receive it very soon!.... Thanks for your patience.! !